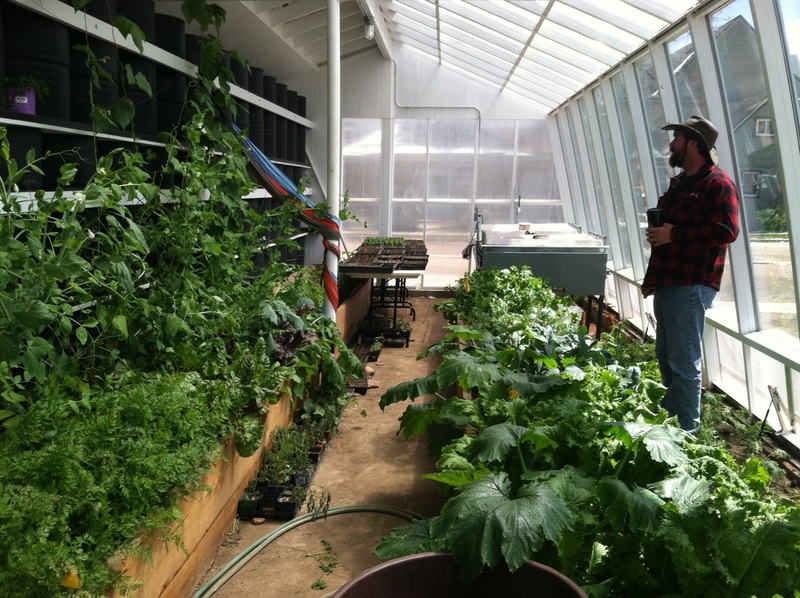 COLORADO COLLEGE'S TOTALLY SUSTAINABLE GREENHOUSE!! 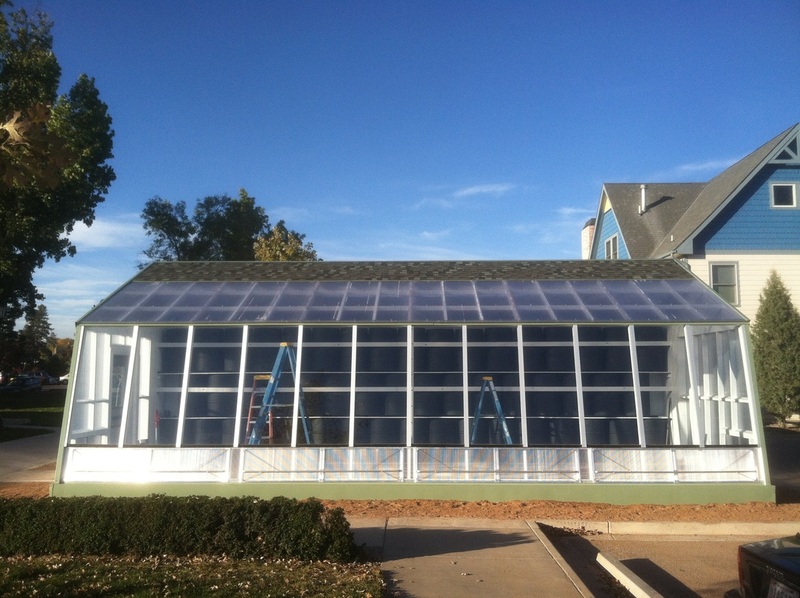 Cord designed this greenhouse for Colorado College's Farm Students. They made this happen, even those graduating and leaving it behind just as it was coming to fruition. The Farm Students come and go - as they age out, leaving the Farm and now this gorgeous greenhouse behind. They choose their replacements before they leave, but I know it is hard to go sometimes. So - to the original students who first dreamed this could happen, to those who were finally in place to make this greenhouse happen - and got the approval, and the funding, I am so proud of all of you. Look what you did! 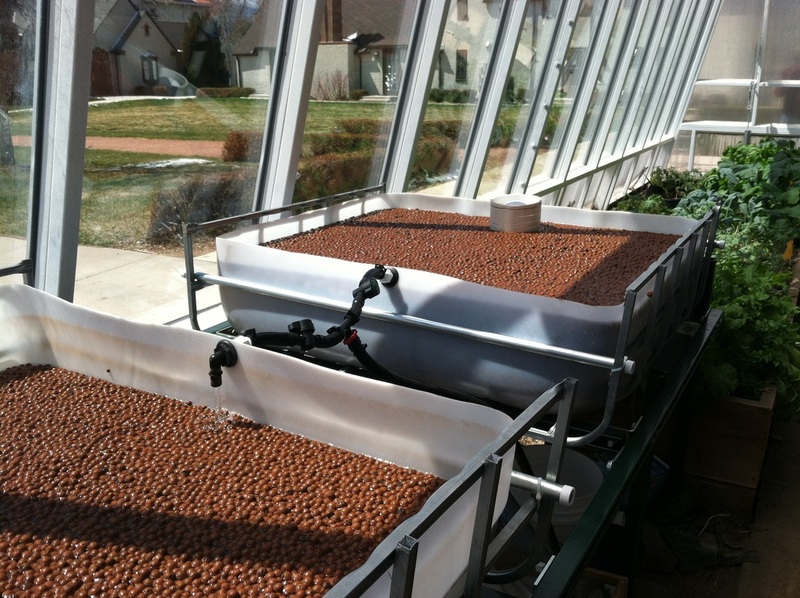 You left behind this wonderful opportunity - students for years to come will learn by seeing with their own eyes that you can feed yourself and others by combining nature's good works, like water as thermal mass, big sun and natural convection, to name a few. 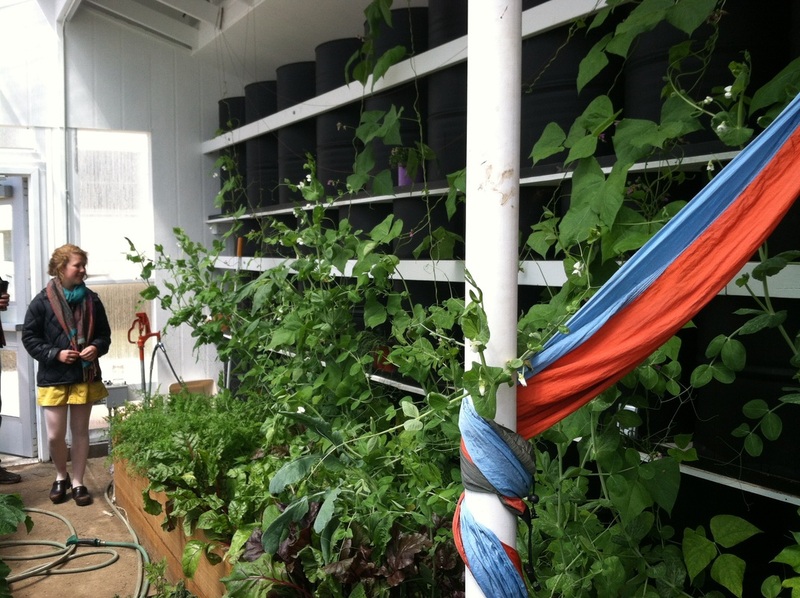 Congratulations to CC for hearing their students and agreeing to build a smart greenhouse. What a shine on the college! 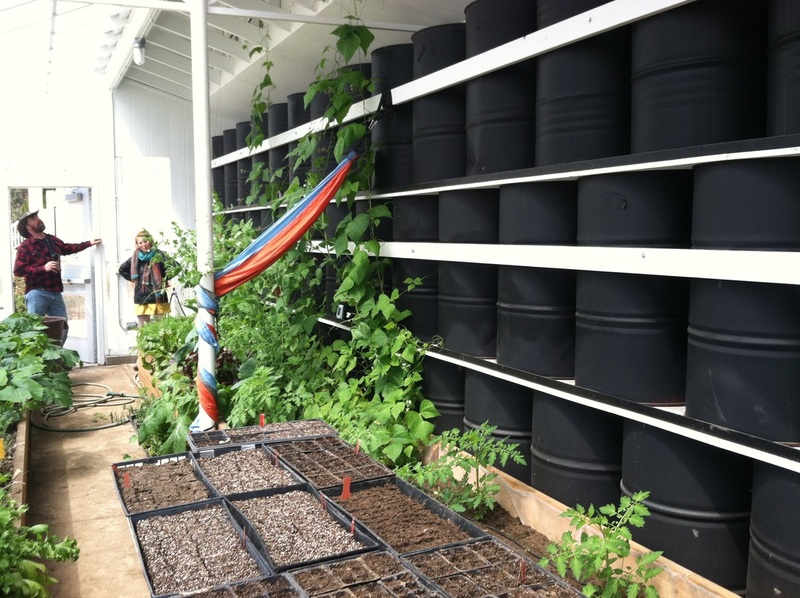 They provided the money and the builders, and now it will begin growing food year round, using no fossil fuel. I like knowing I get to meet so many young, earth-minded college students, as the seniors go and the younger students arrive to run the farm. We've made many friends along the way. Cord custom built the iron. 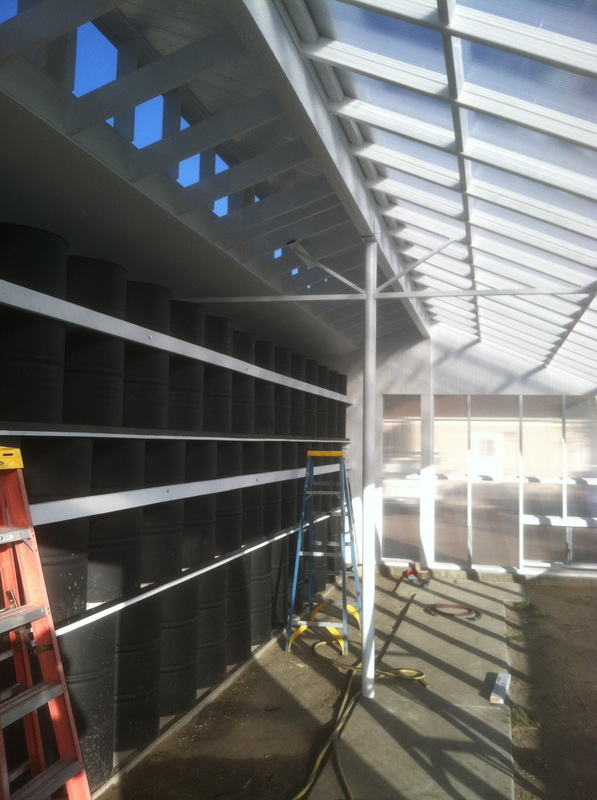 The greenhouse was built by CC's staff with Cord consulting along the way. He also created all of the vents, the structural iron, and of course the design. 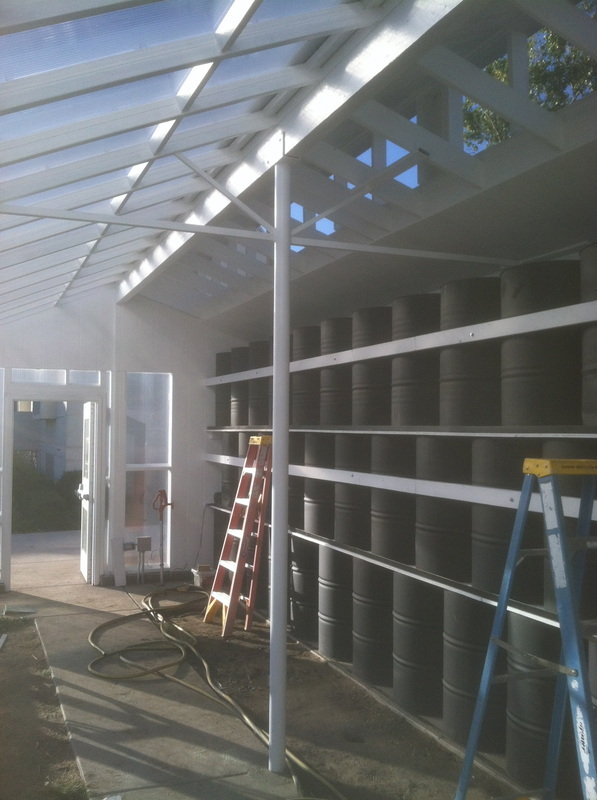 There is an enclosed shed off the back to safely store materials and tools. It is accessible to all - therefore a sidewalk with a turn-around area. Automatic vent openers will moderate the ventilation in the greenhouse but they can customize that during the more extreme months.